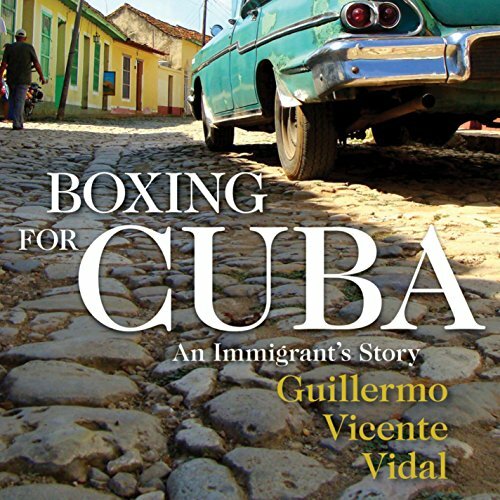 Guillermo Vicente Vidal's memoir chronicles his journey from Castro's Cuba to the United States - a tapestry of his coming of age, a broken family, and disorientation of political unrest. Vidal was barely 10 years old when he proudly shook the hand of Fidel Castro. Although Vidal's parents were once staunch supporters of La Revolucion, they soon found they could no longer keep their sons safe in the new face of Castro's reign, making the difficult decision to send Vidal and his brothers to the US via Operation Peter Pan in 1961. Vidal was on his way to Sacred Heart Orphanage in Pueblo, Colorado, when a chance encounter in the airport led to shaking the hand of Robert Kennedy. Years later, Vidal graduated from the University of Colorado at Denver. He went on to become executive director of the state department of transportation and head of the Denver Regional Council of Governments before he was tapped by Mayor John Hickenlooper to become Deputy Mayor. When Hickenlooper became the Colorado Governor, Vidal became the mayor of Denver. Despite his fears, as an adult Guillermo returns to his beloved Camagüey and delivers truths that shows the beauty and struggles that remain to this day. Boxing for Cuba is not just a story. It is a tale of faith, hope, and a family who becomes more than Operation Peter Pan could have ever dreamed.